​Singing The Hits of the rat pack era! 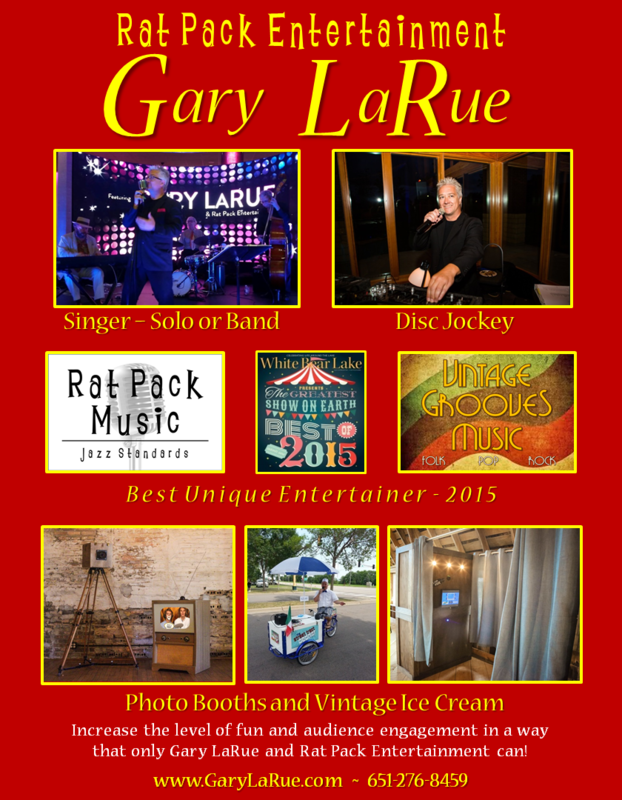 ​Performing at weddings, private & corporate events, restaurants, retirement communities and other venues around the country, I specialize in crooning songs from the Rat Pack era. Songs made famous by entertainment legends such as Frank Sinatra, Nat King Cole, Dean Martin, Chet Baker, Bobby Darin and many more. Don't forget, if you like easy listening music that isn't from the Rat Pack style crooners, you can choose my Vintage Grooves Music offering which includes songs from people like Gordon Lightfoot, Billy Joel, Jim Croce, Elvis Presley, America, etc.